Save cash by booking an Aurora travel package. Just pick out your favorite options and Expedia will do the rest. Savvy jetsetters can earn savings of up to 40,450 YEN* by purchasing a package deal on Expedia. With us, you've got more than 400 airline partners and 321,000 worldwide properties to select from around the globe, which means your dream vacation is right there at your fingertips! Still undecided? 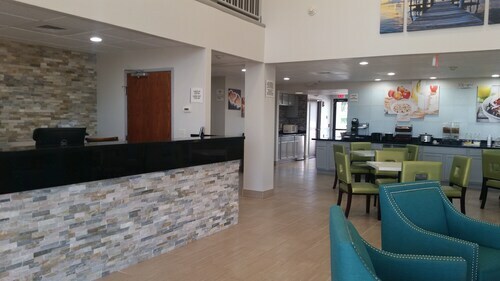 There is no extra fee from us if you make changes to almost any reservation. Almost ready to go on your Aurora vacation? Don't know what sort of things to put on your travel itinerary? No need to fret — we're here to give you a few hints. There's nothing like getting out into nature, and the wider region has some excellent outdoor pursuits for you to try. What about some rock climbing? Still got some time to spare? If you'd love to turn up the fun factor, also make plans to go caving. Organizing flights to Springfield-Branson National Airport (SGF) is the simplest choice for most visitors. Once you hit the tarmac, you're only 25 miles (40 km) from Aurora. 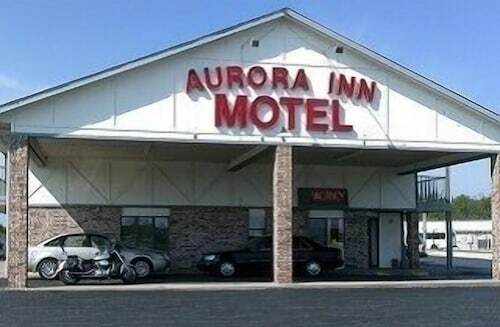 Located in the heart of Aurora, this motel is 1.9 mi (3.1 km) from Oak Park and within 20 mi (32 km) of Wynne Park and Mt. Vernon Golf Course. Table Rock Lake and Gary's Gay Parita are also within 25 mi (40 km). Situated in Mount Vernon, this motel is 0.7 mi (1.2 km) from Wynne Park and 2.6 mi (4.1 km) from Mt. Vernon Golf Course. Oak Park is 11.5 mi (18.4 km) away. 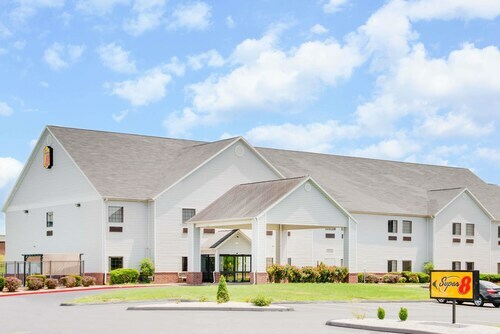 Situated in Republic, this hotel is 3.8 mi (6.1 km) from Wilsons Creek National Battlefield and within 12 mi (20 km) of Bass Pro Shops Outdoor World and Mercy Hospital Springfield. Wonders of Wildlife Museum & Aquarium and Hulston Cancer Center are also within 12 mi (20 km). 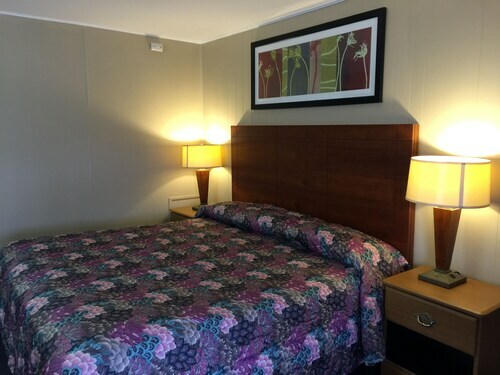 Situated in Mount Vernon, this motel is 0.5 mi (0.7 km) from Wynne Park and 2.3 mi (3.7 km) from Mt. Vernon Golf Course. Oak Park is 11.2 mi (18 km) away. 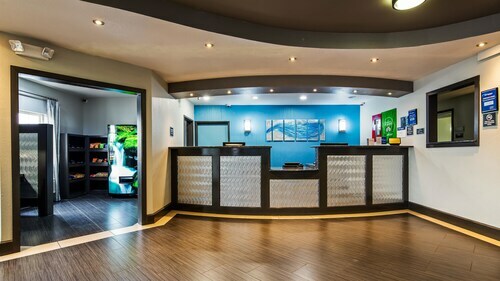 Situated in Mount Vernon, this hotel is 1.2 mi (2 km) from Wynne Park and 3.1 mi (4.9 km) from Mt. Vernon Golf Course. Oak Park is 11.1 mi (17.8 km) away. 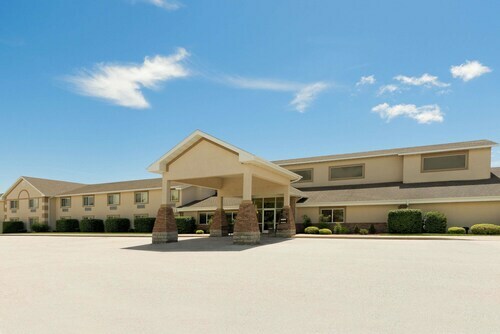 Situated in Monett, this hotel is within 20 mi (32 km) of Oak Park, Wynne Park, and Mt. Vernon Golf Course. Cassville Park and Barry County Museum are also within 25 mi (40 km). 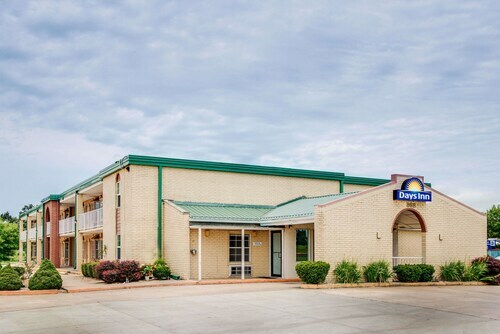 Situated in Monett, this motel is within 20 mi (32 km) of Oak Park, Wynne Park, and Mt. Vernon Golf Course. Cassville Park and Barry County Museum are also within 25 mi (40 km).